Belgian producer Koss’s new single “H.E.R.” from the upcoming album “Born To Live”. Standing for “Hearing Every Rhyme” this organ laced track provides a funky backdrop for MC dream team of Large Professor (Main Source) and Craig G (Juice Crew) to wax nostalgic about when hip-hop first grabbed them in their youth. 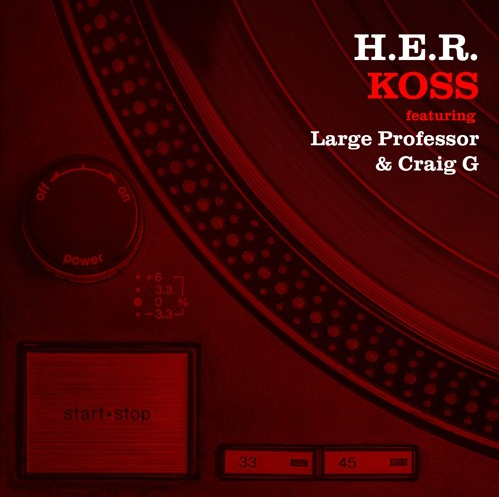 “H.E.R.” will appear on the forthcoming Koss production album entitled “Born To Live”. The album will drop in CD and digital editions on September 8th via Below System Records, with the vinyl edition dropping via Slice Of Spice Records.